Treasure hunting in old collections can be advantageous. That proves the paper by Salvador & Cavallari (2013), who found a new species in a private collection that was recently donated to the Sao Paulo museum. In this paper they describe Oxychona maculata as new taxon from Ilhéus, which they say is very similar to O. bifasciata (Burrow, 1815). For some unknown reason the illustrations in the paper are not in colour, which is to be regretted as these shells are not monochromatic. They note that Pilsbry in his monographic revision has mixed the two taxa mentioned above. Pilsbry 1889 [not 1989 as stated]: pl. 57 figs 36-37 is an early example of the new species, which is currently known of two specimens collected in 1994 and 2007 in eastern Bahia. One wonders why the specimen figured by Pilsbry has not been checked? This was an original figure by Pilsbry and the shell should be present in the Philadelphia museum. If their conclusion is right, this could be a third known specimen. Note: R. Salvador (in corr.) confirmed that they have seen a picture of the shell in the ANSP. Pilsbry, H.A. (1889) Helicidae vol. III. – Manual of Conchology (2) 5: 1–216. Salvador, R.B. 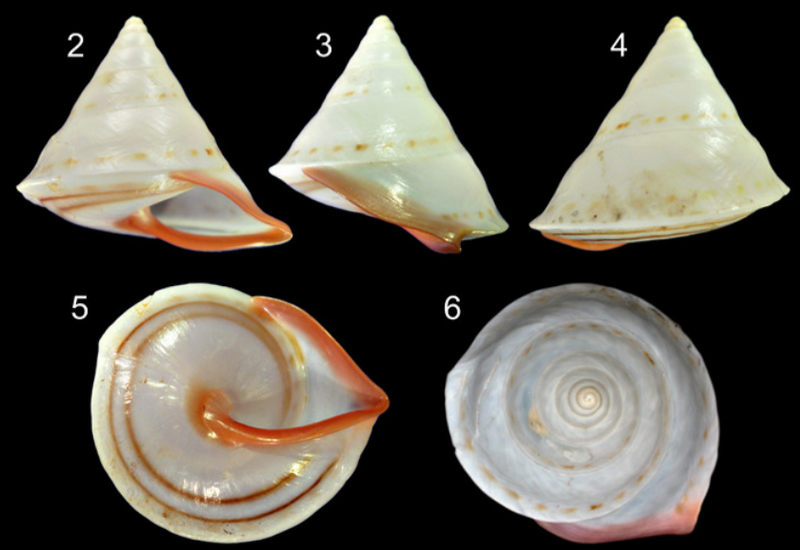 & Cavallari, D.C. (2013) A new Oxychona species (Gastropoda: Pulmonata: Orthalicidae) from Bahia state, Brazil. – Journal of Conchology 42(1): 315–318. This entry was posted in Uncategorized and tagged brazil, literature, oxychona, taxonomy on June 24, 2013 by bramb. Bill Frank sent me a link to a short video containing some living specimens of Bulimulus sporadicus (d’Orbigny, 1835), of which a population is thriving near railroad tracks in NE Florida. This entry was posted in Uncategorized and tagged bulimulus, florida on June 17, 2013 by bramb.